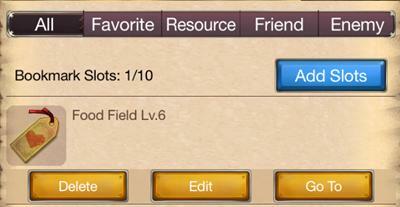 You can participate in Kingdom Event if your Stronghold level is above 5. Completing required actions can obtain event points for your Kingdom. At the end of the Event, Top 1 Kingdom will get massive Gold Mines and Silver Mines as Prizes. Other Kingdoms will also get some participation prizes. You can teleport to other Kingdoms during the Kingdom Event by using Advanced Teleport item. You can attack, scout, gather and scramble relics after teleporting. Once you teleport to another kingdom, the system will start an 8 hours countdown. Your city will be randomly teleported to your own kingdom after the kingdom event or the countdown is over. Cities from other kingdom will be shown as RED on Kingdom map. No matter what the state of the Relics is, the Relics will be under scrambling when the Kingdom Event starts. Scrambling time is the same as the Kingdom Event time. Alliances from other Kingdom can attack relics during the event. The leader will become Expedition, if his/her alliance occupies Relics/Tower. His/her alliance will get scrambling points at the same time. After the scramble war, if a foreign kingdom's alliance gets the highest points, the Relics and Tower will be under conquered. 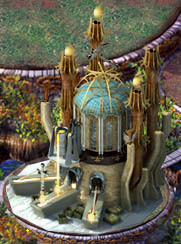 During this period, players cannot fight for the Relics and Tower. There will not be a king but a conqueror (the top-ranked alliance leader). The positions of Duke will be vacant. Conqueror/Expedition cannot get King/Duke title and buff from the conquered kingdom. But he/she can arrange titles in Relics to those players who are from the kingdom he/she conquered. Only Conqueror and his/her alliance will get a large amount of Gold as rewards after scrambling, and Silver per day during Conquered Period. Q1: Can I teleport to any Kingdom during the event? A: You can only teleport to the Kingdoms which participate this event. Q2: Can I reinforce allies in other Kingdom? A: Sorry for that you can’t. If you want to reinforce your allies in other Kingdom, please teleport to the Kingdom he/she is in first. So is Rally Donation and Transporting. Avatar: Tap to open the Information List. You can check your Attributes and other information, you can also change your Nickname and Avatar at here. VIP: Tap to check Level, Benefits and Remaining Time of you VIP. It also shows the Login Rewards Tomorrow. Power: This number represents the Comprehensive Strength of your Empire. 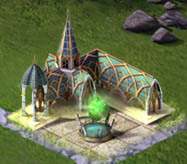 Upgrading building, upgrading researches, upgrading and recruiting troops can increase your strength. Food: Food is one of the basic Resources for city development. 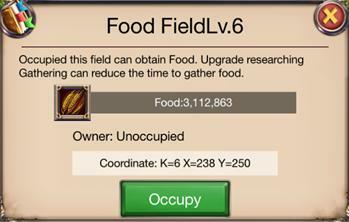 Food can be produced by Farm or gathered in Resource Tiles. Wood: Wood is one of the basic Resources for city development. Wood can be produced by Logging Camp, or gathered in Resource Tiles. Stone: Stone is one of the basic Resources for city development. Stone can be produced by Quarry, or gathered in Resource Tiles. Metal: Metal is one of the basic Resources for city development. Metal can be produced by Mine, or gathered in Resource Tiles. Silver: Silver is one of the basic Resources for city development. Silver can be produced by Villa, or gathered in Resource Tiles. Gold: Important currency. Gold can be used to buy items, to speed up, and to wish. It’s hard to get in the game. Tap to fix the position of your city. Tap to open the Bookmark which records the Coordination of Tiles on the Kingdom Map. Tap each Bookmark to fix the position of the Tile immediately. Tap to start searching. Input the Coordination and fix the positionof the Tile immediately. Tap to enter the World Map. Tap the icon to open or close the marching display. Map Switch: Switch between the City Map and the Kingdom Map. Quests: Tap to check the Quests list. indicates there are completed quests. The number indicates how many quests need to be done. Items: Tap to open the Item Store. The items you get are also listed here. Alliance: Tap to open the Alliance List. indicates there are Alliance Chests can to be opened. The number indicates how many daily tasks needto be done. Mail: Tap to open the Mail List. The number indicates how many Unread Mails there are. More: Including Game Settings, Account, Leaderboard, Blacklist, Help and Searching Lists. Chat Messages: This Dialog Box will show two latest messages from the players. Slide your finger to switch Kingdom Chatroom and Alliance Chatroom. Tap to start chatting. Buff: Use items to giveBuff to your city, including Peace Shield, Anti Scout, Attack Boost, Defense Boost, Health Boost and so on. Warning: Receive Warning or notification when there are Troops marching towards your city or camp, including Attack Warning, Scout Warning, Collision Course. Alliance Help: It will showwhen your Alliance members asking for help to speed up. The number indicates how many Helps need to be done. Tap to directly enter the Help List. Moon Well: This notice appears when there is a free chance to wish. Tap to enter the Moon Well. Energy: The notice appears when there is free energy to fill. Tap to enter the charging page. Marches: Tap to directly enter the Marches List in the Muster Field. The number indicates how many marches out of your city. 1. The largest building in the city. Its level determines the city’s level. 2. You can arrange Consul in the Stronghold. The City Bonus of Consul will directly add to the city’s attributes. 3. You can check your city's information and change the name of it. a. Increase Reinforcement March Slots in your city. b. Increase the Maximum of Reinforcement in your city. c. Increase the Maximum of Help capacity from your Alliance Members. d. Increase total troop capacity. 1. Moon Well is located in front of the Stronghold. 2. Wish in the Moon Well to get awards, including Items, Recourses, Materials, Gems and Heroes. 3. You have some free chances to wish everyday. b. Increase the research speed of upgrading. 1. The Hero Hall is located at the front left of the Stronghold. You can check, train and equip your Hero in the Hero Hall. a. Increase the upper limit of hero's level. b. Increase total hero slots. c. Add training slots. You can also spend Gold to add training slots. d. Increase hero's EXP bonus which is only effective in training and battles. 1. The Muster Field is located in the center of the city. You can check and manage all your troops at here. 2. Ally’s Reinforcing Troops also stationed at the Muster Field. You can send back their Reinforcing Troops at here. a. Reinforcing Troops can only help defend your city. a. Increase the capacity of troop number per march. c. Increase the Maximum of donated Troops by ally. 1. You can arrange a hero in it to lead all the soldiers and defend the city against enemies. a. Provide the troop guarding the city with a defense bonus. 1. The Forge is located at the front left of the Stronghold. You can craft equipment for your Hero. a. Unlock new equipment to be crafted. 1. The Cellar is hid in the corner of the city. It can protect the city's resource away from being plundered if defeated. 2. The higher the Cellar's level is, the more resource it will protect. 1. The Watch Tower is located at the left side of the city. a. Receive a more detailed warning or notification. 1. The Marketplace allows you to send resources to your allies, among which some are paid as tax. a. Increase the maximum of transporting Resources every time. 1. The Barracks can only be built inside the city. You can build several Barracks in the city. 2. You can check and recruit troops in Barracks. a. Unlock new kind of Soldier. b. Increase troops recruiting capacity. d. Increase total troop defense. 1. The Hospital can only be built inside the city. You can build several Hospitals in the city. 2. Heal wounded troops defending in your city and could not heal reinforcing troops. 3. Upgrading Hospital can increase the amount of troops you can heal. 1. The Villa can only be built inside the city. You can build several Villas in the city. a. Increase total troop capacity. b. Increase Silver hourly income and the maximum of Production Capacity. 2. Farm: Increase Food hourly income and the maximum of Production Capacity. Only can be built outside the city. 3. Logging Camp: Increase Wood hourly income and the maximum of Production Capacity. Only can be built outside the city. 4. Quarry: Increase Stone hourly income and the maximum of Production Capacity. Only can be built outside the city. 5. Mine: Increase Metal hourly income and the maximum of Production Capacity. Only can be built outside the city. Loyalty: A kind of currency that you can get by doing Alliance Daily Quests, opening Alliance Chests and helping Alliance Members. You can use Loyalty to buy items in Alliance Store. Alliance Funds: While getting Loyalty, Alliance Members contribute Funds to the Alliance. Alliance Managers can use Alliance Funds to purchase items from the Store Catalog. Thus Alliance Members could buy items in the Alliance Store. Alliance Store: You can buy many items in alliance store with your loyalty. a. You can ask your allies for help when you are upgrading building, upgrading technology or healing troops. Tap “Help” to send your request. b. Every ally’s Help can reduce the percentage of the total time. c. You can receive more Helps if the level of your Stronghold is higher. d. You can get Loyalty and Alliance Funds by helping allies. When you or your alliance are initiating a rally or being rallied, you can check the information in War Rally and Defense. Detailed rules about rally, please refer to FAQ and see [Battle]-[Rally]. There are different positions for alliance members including one Leader and six Vice-Commanders. You can see the rights of each position in ‘Alliance-Member’ page by tapping ‘i’ button on the right. You can transport resources to your allies, among which some are paid as tax. Upgrading marketplace can increase the maximum of transporting Resources every time and reduce tax rate. You can send a reinforcing troop to your alliance to help him defend his city. 1. When Alliance Members buy Gold in Gold Store, your Alliance will get Alliance Treasure Chests. 2. Attacking lv.3 or higher fortress, your Alliance will get Alliance Treasure Chests. 3. Taking part in Alliance Events gives a chance to get Alliance Treasure Chests. 4. Alliance Treasure Chests will be become invalid in 24 hours. Please often go back to the game and check if there are new Alliance Treasure Chests. 1. You will get a number of Treasure Points after opening an Alliance Treasure Chest. When Treasure Points reaches a certain number, the Alliance Treasure Level will be upgraded. 2. Taking part in Alliance Events gives a chance to get Alliance Treasure Chests. 1. You can get VIP Points by getting Login Rewards and using VIP Points item bought from stores. If VIP Points reaches a certain number, your VIP level will be upgraded. 2. Different VIP level represents different benefit. 1. Becoming a VIP can bring powerful boots to your city. Insure that your VIP is active and only during the validity period can you enjoy privileges. 2. Activate your invalid VIP once again, the VIP Level and Points will not change. a. You will be awarded 24-hour probation period after each Upgrade. b. You can use items to extend VIP valid time. c. VIP time can be stacked up. 1. Tap "Start" in Daily Quests list. When the Countdown is over, the Daily Quest is finished. 2. If your VIP reaches a certain Level, you can finish Daily Quests immediately, need not to wait for the Countdown. Daily Quests differ in quality. Daily Quests with a higher quality get more rewards but need more time to finish. Tap a Tile, then tap the Bookmark icon on the top left corner of the Information Dialog to open the Create Bookmark Dialog. Tap “Confirm” to create a Bookmark. You can find Bookmark icon on the top of the Kingdom Map. Tap to open Bookmark List. Tap “Go To” to teleport to the Tile immediately. 1. While writing to other players, tap “Attachment” to insert Bookmark as attachment. 2. 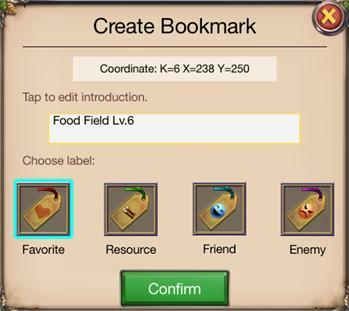 While receiving other players’ mail, you can download the Bookmark to your own Bookmark list. 1. Tap “More”, and then tap “Account” to open Account Management. 2. Players who enter the game through ”Play Now” can bind your Email at here. One Email address corresponds to only one Account. 3. Bind your mail and set a password. You can login the same Account on different devices. How to participate in events? 1. You can participate in events if your Stronghold level is above 5. Completing required actions can obtain event points. 2. You can obtain participation prizes with your event points, and can also get ranking prizes for the ranking of your event points at the end of the event. 3. Alliance can also get alliance participation prize and alliance ranking prize for the event points of its members. 1. Scouting will cost a certain amount of silver. You can get certain amount of information due to your scout research level. 2. You can get certain amount of information due to your Scouting research level. 1. You can choose to send a hero or not in your attack. 2. Your Troops per March are limited by the level of Muster Field, but you can use item boost to increase the upper limit temporarily. 3. Battle will happen when the march arrives at the destination. You can use ‘Recall’ to recall your marching troops before arriving. How to initiate a rally? A：You can initiate a war rally against a city from a hostile alliance or against Relics/Tower after joining an alliance. If you are not in any alliance, you can only initiate a war rally against city with stronghold higher than level 15. When your alliance initiate a war rally, how to donate troops? A：When your alliance initiate a war rally, you can see the rally information in ‘Alliance-War Rally’ and donate a troop before the countdown is over. The donated troops will under control of the rally owner and you can not withdraw it. How to check the information of being rallied? A: When you are being rallied, you will receive a War Rally Report. You can check the war rally information in ‘Alliance-Defense’. When your alliance are being rallied, how to reinforce? A：When your alliance are being rallied, you can see the war rally information in ‘Alliance-Defense’, and send a reinforcing troop to defend together. In a war rally, if the unit level of the donated troops is different from the rally owner’s, how does the unit converts? A: The donated troops will convert to same level unit as the rally owner’s base on [Health]. For example, if the rally owner sent 100 lv.2 Dwarf and A donated 200 lv.1 Dwarf and B donated 200 lv.3 Dwarf, so all the Dwarf will be converted into level 2, and total 100+100+300=500 lv.2 Dwarf. How does the unit converts when the reinforcing troops’ and defending troops’ unit levels are different? A: All the reinforcing troops will convert to the same unit level as the defending troops based on [Health], the converting rule is the same as converting in a rally. All units are divided into three types: Melee, Medium and Ranged based on attack distance. 3. Ranged: 3 grid of attack range. Initiative represents the attack sequences of each unit. Unit with higher Initiative attacks first. If there are units with same Initiative from both sides, Attacker first. Crit means there is a certain possibility to make double damage. The Crit damage shows as yellow numbers in battle review. Speed represents the marching speed on kingdom map. If the troops are mixed with different units, in this case the marching time is calculated based on the lowest unit’s speed. Upkeep represents the hourly food consumption of each unit. Load represents the hourly resources loading capacity of each unit. 1. Hero can be divided into two categories: battle hero and consul hero. 2. Quality represents the rarity of the hero. Heroes with higher quality have better basic attribute and original bonus. 3. Battle hero has one or more expertise unit, while consul hero has none. 4. Hero’s attribute can be divided into basic attribute and bonus, and bonus includes city bonus and combat bonus. 1. Hero’s basic attribute can only benefit the expertise unit. 2. The Attack unit represents the total Attack number added to the hero’s expertise unit. 3. The speed of hero will determine the marching speed on kingdom map just as unit speed. 4. Hero consumes a certain amount of silver hourly as salary. 1. Combat bonus can strengthen the relevant unit attribute. 2. Combat bonus will only take effect in battle. If you arrange a consul hero in your stronghold, then the city bonus of the consul hero’s will be added into city bonus, while the combat bonus will not take effect. 1. Crafting in forge is the main way to get equipment. 2. Different equipment has different quality. Equipment with higher quality has better attributes. 3. You can use item and silver to consolidate the equipment. Consolidation can increase the basic attribute of the equipment and bring more unit value to the expertise unit. 1. Main ways to get materials: fortress rewards, use items, dropping when the resource tile is thoroughly collected. 2. You can transmute 4 same level materials into 1 material with one level higher. 3. With higher quality materials, you have more chance to craft higher quality equipment. a. The default choice is the material with highest level in crafting, you can change material level by tapping the material icon. b. You can see the attribute of the equipment of different qualities by tapping the relevant quality color button before crafting. 1. Main ways to get gems: attack fortress, use items. 2. You can transmute 4 same level gems into 1 gem with one level higher. 3. Gems can be embedded in equipment, and add combat bonus to the hero. But the combat bonus are valid only for the expertise unit. 1. Fortress is a small sized castle occupied by NPC. You can find them on kingdom map, and win rewards by defeating them. 2. Higher level fortress has more troops inside, therefore you can get more rewards when defeating. 3. Attacking fortress needs a certain amount of energy. You have a free recharge chance everyday and also you can use gold to buy energy. 1. You can find resource tiles on kingdom map. Higher level resource tiles have larger resource reserves, and the collecting speed is also higher. 2. Resource tiles will not increase, once collected thoroughly it will be refreshed on other part of the kingdom map. You can recall your troops before they finish collecting, and bring back the collected resources. The alliance which occupies the Relics will govern the kingdom. Alliance leader would be the king with the sovereign power. The leader whose alliance occupies the Tower will be the Duke with corresponding rights. King and Duke's alliances will get silver reward every day. 1. Scramble for Relics will open at intervals. 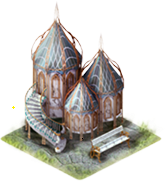 During the scramble period, alliance which occupies the Relics or Tower will get certain points per second. 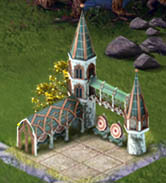 Alliance which occupies the Relics or Tower immediately before the end of the Scramble War will get more bonus points. (Players without an alliance cannot participate in the scramble war.) After scramble, top 5 alliances and their leaders will get prizes. 2. 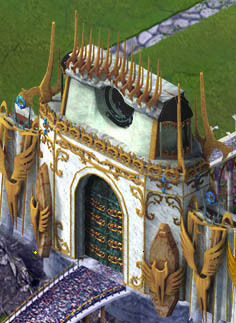 During the Scramble period, one alliance could occupy several Relics/Towers simultaneously. Those points will be accumulated. Corresponding to this, Alliance leader could assign all the titles in the occupied Relics/Towers. However, the leader could only gain the most powerful title and its Bonus. 1. After the scramble war, if a domestic alliance gets the highest points, the Relics and Tower will be under Protection. During this period, the top-ranked alliance leader will become the king; leaders of the alliances ranking from 2 to 5 will become the Dukes. Foreign kingdom's alliance leader cannot become Duke, his position will be replaced by the domestic alliance leader ranking after him. 2. 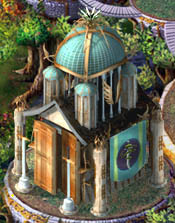 During Protection period, one alliance could occupies only one Relics or Tower simultaneously. 1. After the scramble war, if a foreign kingdom's alliance gets the highest points, the Relics and Tower will be under conquered. 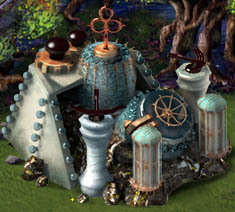 During this period, players cannot fight for the Relics and Tower. There will not be a king but a conqueror (the top-ranked alliance leader). The positions of Duke will be vacant. 2. Conquered period will not occur until the Kingdom vs Kingdom event open. Q1: How to get title? A: The leader of the alliance which occupies the Relics/Tower gains the King/Duke title. King/Duke could assign other titles to specific players. If King/Duke retire, all titles he/she assigned will be reset. Q2: How to get Relics Rewards? A: After the scramble period, the top 5 alliances will get a King’s/Duke’s gold chest and King/Duke will get extra gold prize. The alliance which occupies the Relics/Tower at UTC 0am gains a King’s/Duke’s silver chest and King/Duke gets extra silver prize. Q3: Could we occupy several Towers simultaneously? 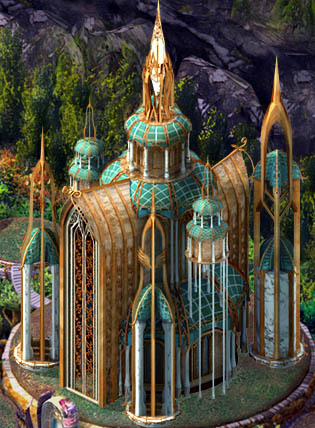 A: During Scramble period, alliance could occupies several Relics/Towers simultaneously. Corresponding to this, Alliance leader could operate all occupied towers to Grant Title, appoint Defense Hero and withdraw reinforce troops. However, the leader could only gain one of the highest Bonus. 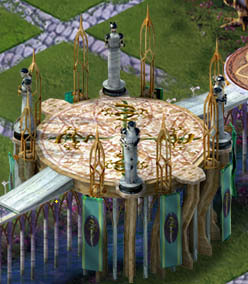 After the Scramble period, each alliance could occupies one Relics/Tower at most. Q4: How to defend Relics/Tower? A: King and Dukes are entitled to assign other Titles, appoint Defense Hero, send back reinforce Troops, and so on. Alliance member could send reinforce troop to defend Relics/Tower. If the Relic/Tower has been occupied by your allies before the rally or attacking troops arrive there, those troops would be converted to Defense Troops automatically. Q5: why is my marching speed so low? A: The marching across the Relics would slow down. Whether the starting point and destination was within the Relics or not, the Marching speed would be much slower than in other landforms. Q6: What’s the teleport rule on Ancient Battlefield? A: The Peace Shield would be canceled immediately after teleporting to the Ancient Battlefield. It is not allowed to use Peace Shield here as well. If your city is defeated here, it will be teleported randomly to other places in the kingdom immediately. Q7: Where does boost of Relics/Tower come from? A: The Building Boost, Researching Boost and Item Boost of Relics/Tower are the same with these Boosts of the leader whose alliance occupies the Relics/Tower. Q8: Can King/Duke use Peace Shield, Anti Scout and Fake Army in Relics/Tower? A: Items like Peace Shield, Anti-Scout and Fake Army don’t take effect in Relics/Tower. Q9: How to choose a defense hero? A: If the King/Duke doesn’t appoint a Defense Hero, system would automatically choose the one with highest Combat Bonus as the Defense Hero. Once the leader has appointed a Defense Hero, the system will not substitute Defense Hero any more. Q10: What’s the Troops Wounded Rate in Relics/Tower? A: The wounded rate in Relics/Tower is 90%. Q11: How many troops can I reinforce Relics/Tower? A: Each player could send several reinforce troops to defend Relics/Tower, no more than his/her march slots limit. Q12:How to view the distribution of defense troop in Relics/Tower? A: Tap “View Defense” to see the the Defense troops in Relics/Tower. Tap to view the total number of each unit. There are two ways for you to add neighbors. A: a. 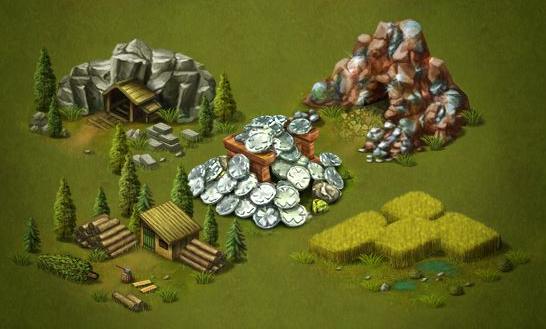 Build and upgrade resource-producing buildings to increase hourly Resource income; b. Gather Resources On the Kingdom Map;C. Use Resource items; d. Attack other player’s city and plunder Resource if you win. Why does my Food and Silver decrease? A: Soldiers cost Food as Keep UP every hour. Heroes cost Silver as salary every hour. If the production of Food/Silver is less than the consumption, your Food and Silver will decrease. Why does my Resource no longer increase? A: Every kind of Resource has the upper limit of production. When your Resource reaches this limit, it will not continue to be produced any more. However, using items to increase the amount, gathering or plundering Resource on the Kingdom Map does not restrict by this limit. Why my troops were sent back without any resource when they arrived on the resource tile? A：If your alliance arrived at the resource tile ahead of you, in this case your marching troops will be automatically sent back when they arrived on the tile without any conflicts. How to summon a hero by using fragments? Why some of the heroes cannot be upgraded? A：The highest level of the hero with expertise of consul is level 1. Can hero with expertise of consul be used to defend the city, lead troop out for gathering or lead troops in battle? 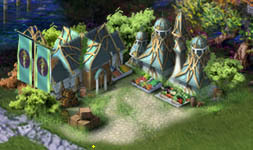 A: Players can choose heroes with expertise of consul to defend city, lead troops out for gathering and lead troops in battle, but because heroes with expertise of consul only have city bonus, and have no combat attribute and combat bonus as other heroes, so they are not the right choice for such actions. The same happens when choosing a consul. Heroes without expertise of consul only have combat bonus, so they are not the right choice for consul. How does the attack unit of the hero take effect? A: Tap “Items” on the bottom of the screen, and tap “Show Owned Only” to check your items. Are There any other Ways to Get Items? A: Wishing at the Moon Well, Attending Solo or Alliance Events, and doing Quests gives a chance to get items. How to calculate the boost? What determines the troop marching speed? A：Troop Marching Speed is determined by hero speed, unit speed and march speed boost. The lowest speed among hero and each unit will be the marching speed of the troop. When the wounded troops outnumbered your total hospital capacity, which unit will be sent to hospital first? A：If the wounded troops outnumbered the total hospital capacity. 3. When there are units with same power and same level, melee unit goes first, then medium unit, then ranged unit. Why i was attacked when i had a peace shield on? I used ‘Play Now’ originally to enter the game, what should i do if i want to change a device and still play the account? A：First log out of your current account, and use your former binding email and password to log in. Tap ‘More-Account-Log out’ to log out from your current account. Can i change my binding email? A：Sorry that we cannot help players change their binding email, for we have the responsibility to protect the account security of every player. We hope you can understand. Still need help? please feel free to contact us via: support@fingerdance.com and we will get back to you as soon as we can. Due to the amount of emails we receive, it could take up to 1-3 days for a response. Suggest an additional feature? please feel free to contact us via: support@fingerdance.com and we will get back to you as soon as we can. Due to the amount of emails we receive, it could take up to 1-3 days for a response. Fingerdance is dedicated to bring you the best mobile games across Android and iOS platforms. Copyright@2014-2018 Fingerdance. All rights reserved.